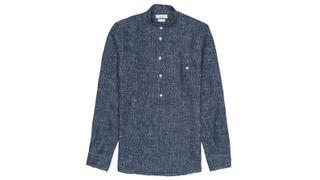 As a dress code smart-casual may sound innocuous but getting it right can be far harder than anticipated. Should you wear your black-tie timepiece or stick to your diving watch? A bespoke suit is clearly too much but should you opt for loafers or a pair of luxury trainers? Look perky for any onboard soirée with this edit of chic prints and cool linen as curated by Robert Johnston. The William frame was inspired by a design originally marketed to doctors but it’s been brought up to date with a range of cool frames and coloured lenses. 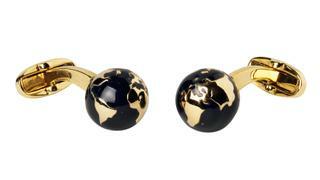 Perfect for the inveterate traveller, these cufflinks feature an enamelled globe with a gold-tone swivel T-bar and should be worn with a crisp white French cuff. This tongue-in-cheek Lege street art print T-shirt references famous Mediterranean hotspots such as Amalfi, Ibiza and Monaco. 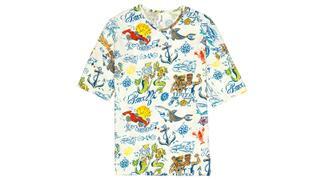 It is a great onboard party top. This is perhaps the perfect summer piece. In pure linen with an indigo scratch pattern this collarless shirt has a half placket, making it ideal to pair with white jeans for a cool summer evening after a day in the sun. 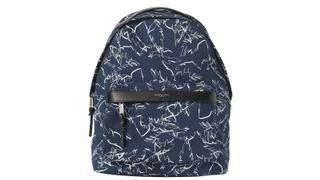 Michael Kors goes from strength to strength and this leather-trimmed printed Cordura backpack with a palm leaf print is an eye-catching way to keep all your essentials safe when on the move. 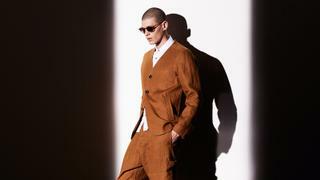 This is a seriously luxurious take on the classic suede Western-style jacket. 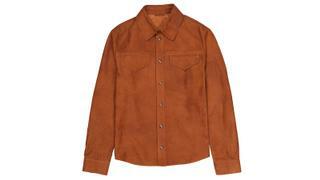 This butter-soft shirt in chestnut brown is made in Italy and features Bottega Veneta’s signature intrecciato weave at the yoke and cuffs. Lanvin was perhaps the first label to turn hightops into high fashion, and this style opened the summer 2017 catwalk show. 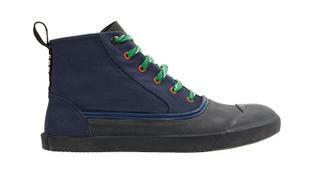 In rubber and canvas, these shoes are unmistakably cool. It seems that everything Mr Ford touches turns to gold - almost literally. 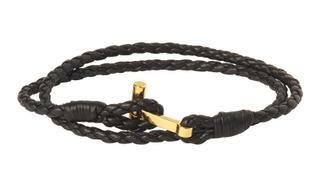 This woven leather bracelet will wrap around your wrist several times and fastens neatly with a gold-plated T-bar.